A.J. Johnson at the "The Magic of Fashion" fashion show. A.J. 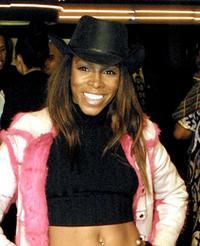 Johnson at the premiere of "Crazy As Hell" during the 10th Annual Pan African Film Festival. Derrick Fischer and A.J. Johnson at the premiere of "Baby Boy." A.J. Johnson at the premiere of "American Pie 2." A.J. Johnson at the 2nd Annual Gala Dinner Benefiting the Chaka Khan Foundation. 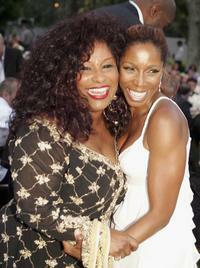 Chaka Khan and A.J. Johnson at the 2nd Annual Gala Dinner Benefiting the Chaka Khan Foundation. A.J. Johnson at the premiere of "Baby Boy." A.J. Johnson at "The Magic of Fashion" Benefit Fashion Show. A.J. Johnson and Rodney Gadson at the 2nd Annual Gala Dinner Benefiting the Chaka Khan Foundation. A.J. Johnson at the Smooth Pre-BET party. Toy Conner, A.J. Johnson and Carla Renata Williams at the premiere of "Jim Brown, All American." A.J. Johnson at the party of Director John Singleton at Loggia.